Media Studies invites you to a talk with Zara Rahman, Fellow, Data & Society and Mimi Onuoha, Artist & Research Resident, Eyebeam. Zara is a researcher, writer, and linguist who is interested in the intersection of power, culture and technology. She has travelled and worked in over twenty-five countries in the field of information accessibility and data use among civil society. She was the first employee at OpenOil, looking into open data in the extractive industries, then worked for Open Knowledge, working with School of Data on data literacy for journalists and civil society. Now, she is a fellow at Data & Society Research Institute in New York City, and Research Lead at The Engine Room where she leads their Responsible Data Program, looking into the practical and ethical challenges around using data in social change and activism. Mimi Onuoha is a Brooklyn-based artist and researcher using code and writing to explore the process, results, and implications of data collection. Recently she has been in residence at Data & Society Research Institute and the Royal College of Art. Onuoha has spoken at and exhibited at events internationally, and in 2014 was selected to be in the inaugural class of Fulbright-National Geographic Digital Storytelling Fellows. Currently she teaches at NYU’s Interactive Telecommunications Program and is a Research Resident at Eyebeam, where she is programmatically and interpersonally investigating data collection, missing datasets, and strategies for intervention and response. Hosted by Shannon Mattern, Associate Professor of Media Studies. 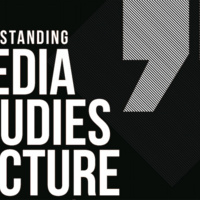 Sponsored by the School of Media Studies as part of its weekly lecture series for "Understanding Media Studies."